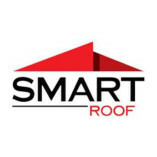 Whether it's roof replacement, roof installation or roof repairs, such matters need a trusted hand, and for that matter, we at Smart Roof are glad to be here at your service. Our excellent team of professionals who excel at gutter installation,... skylight installation and even metal cladding are available to make your house stronger and your life easier. We also expertise in colorbond roofing Perth and have a vast palette where you can choose from a wide range of designs and shades to meet your vision of your dream home. Do you want immediate professional attention to your aid? Call right away.